There is no doubt or gain saying that the whole world is going through a hard time. Anointed Gospel music minister, Joepraize rolls out a new song to cheer people up With John 16 verse 33 as the guiding light. ” I have told you these things, so that in me you may have peace. In this world you will have trouble. But take heart! I have overcome the world. 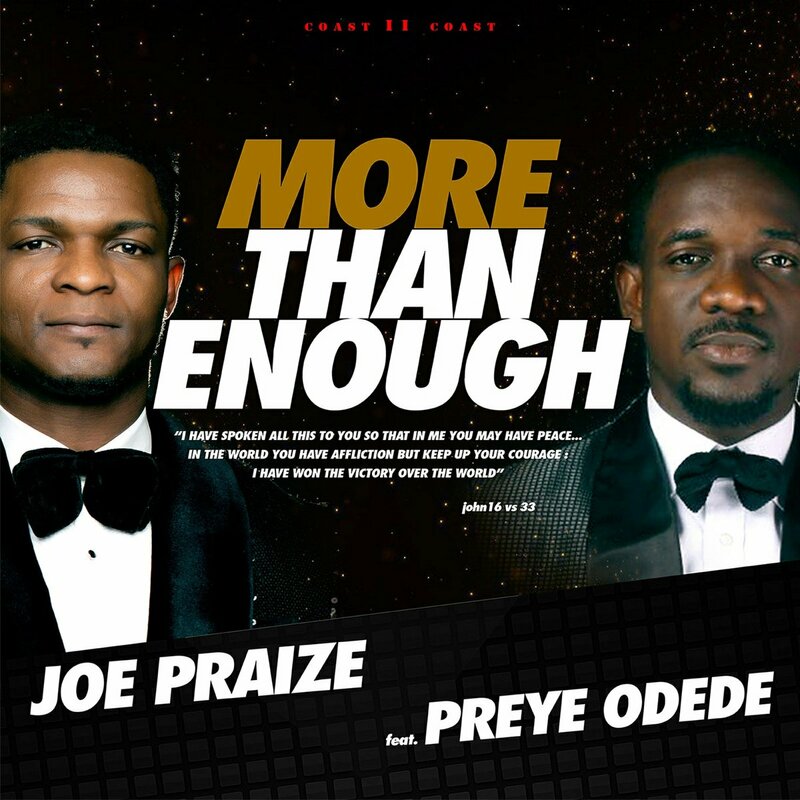 – John 16:33 Featuring Preye Odede , the new worship song titled More Than Enough was produced at his (Joe Praize) Coast 2 Coast studio in Lagos, Nigeria. More Than Enough is guaranteed to bless Listeners. Listen, download and share.